TALLAHASSEE, Fla. — Growing up in Decatur, Ga., Florida A&M University (FAMU) School of Business and Industry student Troy Harris II never knew what he wanted to be. He was not interested in being a doctor, lawyer, engineer or anything else his mom suggested. It was while watching the Mel Gibson movie, “What Women Want” in 2000, that Harris became impressed by the advertising industry and the platform for collaborative creativity that it provides. 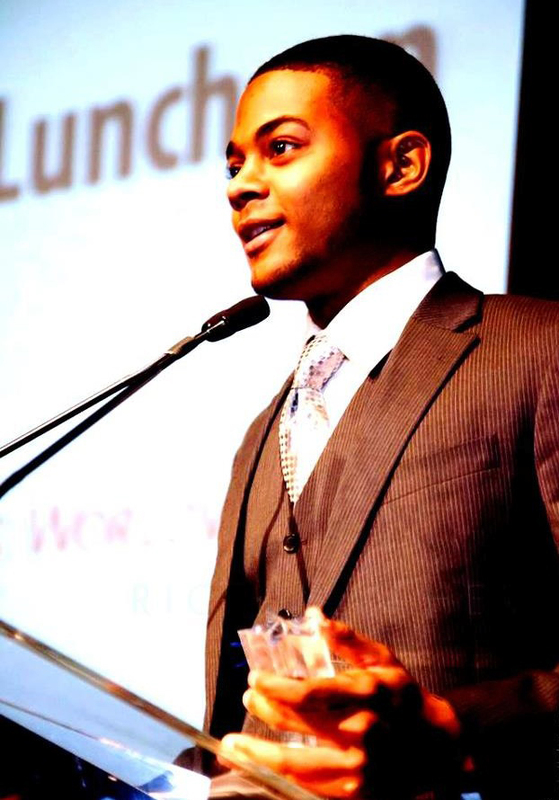 This past summer, Harris’ natural talent and passion for the field came full circle when he was named the Multicultural Advertising Internship Program (MAIP) Clarence Leroy Holte Intern of the Year. MAIP, which appointed more than 100 minority interns to various advertising agencies, assigned Harris to the global advertising company, Draftfcb. Harris beat out students from New York University, Howard, Savannah State, Oklahoma, Loyola, University of Chicago and other colleges around the country ranging from traditional universities to art institutions and historically black colleges and universities to be named Intern of the Year. During the internship, Harris worked in the Account Management Department where he merged the relationship between clients and his co-workers in the Creative Department. Harris worked with MilkPEP, implementing social media sweepstakes and promotions for the familiar Got Milk? campaign, as well as working to re-brand chocolate milk. Harris, whose concentration is marketing, said his position as the student body vice president during the 2011-2012 school year really introduced him into a management role from a creative standpoint, and it allowed him to gain a level of confidence and excel. Along with serving as vice president, Harris is a member of Alpha Kappa Psi Professional Business Fraternity, Inc. and Alpha Phi Alpha Fraternity, Inc. He also served as a student senator his freshmen and sophomore years and junior class president. He is scheduled to graduate this fall. “There is nothing like going to an HBCU for a young black college student,” he said. “It works wonders for our cultural development. Being the largest HBCU in the nation, FAMU teaches you a lot. It combines the HBCU family feeling with an environment of a lot of people. Perhaps most importantly, FAMU has shown me that there is always something for everyone, regardless of your background.